Freelancers often manage many facets of a running a business. One of the most important function involves maintaining ordered accounts. To ensure that your accounts are kept up-to-date, an organized system should be put into place right from the start of your business. An accountant will give you advice regarding the best method to use to achieve this. 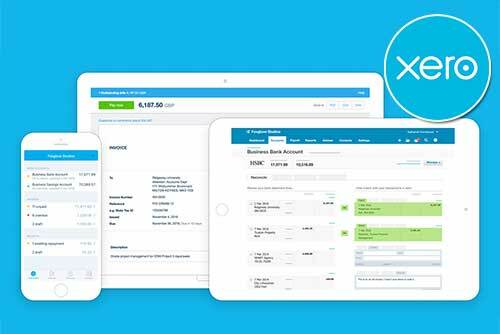 Using an online software package like Xero can also help you maintain your accounts in an organized manner. The following steps can help you maintain an organized structure. Remember to dedicate a portion of your time to this part of your business as it can have legal and financial implications in the long-run. These records are required to maintain an organized system and should be entered into your Xero accounts software weekly. In the long-run, this will ensure that you have all the documents that your accountant will need to complete the end of year accounts. They are also important if you ever have an audit by the HMRC. Freelancers are self-employed hence they are able to claim certain expenses which are deductible from the tax that they owe. This includes the following expenses of which a record must be kept. By keeping an organized accounts system which is up-to-date, collecting payments is easier and more efficient. Late payers are also a real issue for Freelancers. By taking the following steps, you can minimize late payments and unnecessary stress. 5. Late payers must be chased. Always be professional but firm. If you work has been completed to the agreed project scope and time limit, then legally they must pay you. Repetitive late payers should be warned and dealt with. When completing your Self-Assessment each year, you will need to pay owed tax to HMRC. To plan for this cost, you should save money each month to cover this cost. It is advised that Freelancers open a separate savings bank account for this purpose. It takes a disciplined approach and needs to be done each month. Xero allows you to use specialized reports that can estimate your Self-assessment tax bill. This can be used to calculate what percentage of your monthly earnings should set aside in your bank account. Please note that you will have make a record of this money set aside in your accounts system.